Prominent & Leading Manufacturer from Ahmedabad, we offer dry run auto switch, digital auto switch, dol auto switch and double power automatic transfer switches. 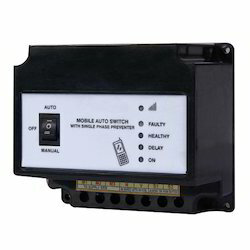 We are a predominant firm engaged in providing excellent quality Dry Run Auto Switch. Our offered product has gained huge appreciation for their sturdy design and durability. We use top class raw material with the help of advanced technology as per the set industry norms to design this product for our esteemed clients. Heavy duty ON / OFF switches with silver contacts. 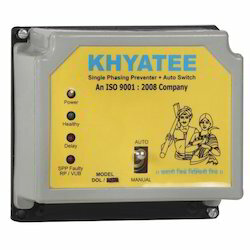 We are engaged in offering our clients a high quality range of Digital Auto Switch. In the designing and development process, we make optimum utilization of top grade quality components and sophisticated technology in compliance with the set international quality norms. We offer this to our valuable clients at economical costs. Enriched with vast industrial experience in this business we are engaged in offering supreme quality range of Digital Auto Switch to our clients. This Digital Time Switch is made with fine quality of material and enriched with sharp edge technology. 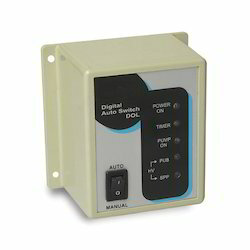 Amidst the foremost providers in the market, our firm is betrothed to offer DOL Auto Switch. Following industry defined norms, our skilled team of professionals develop our offered switch utilizing best quality raw material with the aid of up to date manufacturing techniques. Customers can avail this from us at pocket friendly prices. Four indications for Power, Healthy, SPP, Time delay. Site selectable auto / manual / bypass or only auto / manual facility. 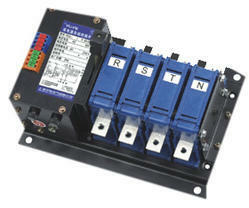 Heavy duty auto manual switch for long life. Widest working voltage ranges from 250 to 500 volts. Suitable for up to 15 hp DOL and SASD starters. Color coded thick and long wires with the unit so no need for external wires for installation. Options - Auto switch with 3 / 5 minutes on delay timer. Banking on our enriched industry experience, we are able to supply Double Power Automatic Transfer Switches.